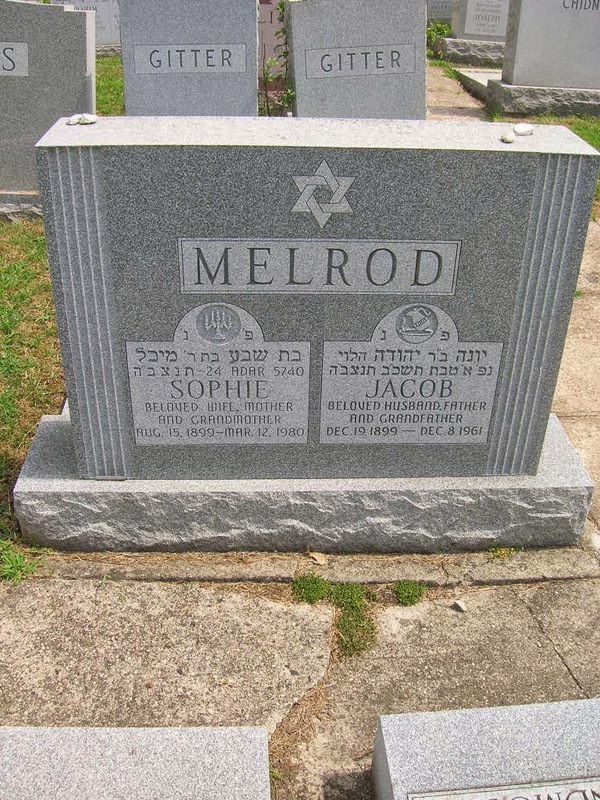 Sophie married Jacob Melrod and had 2 children, Max and Rose / Ruth. What happened to them? I can not find any more records for them. Sophie and Jacob left Southhampton, England on the S.S. Aquitania, 23 April and arrived 1 May 1921. Max was born in 1922 and Rose/ Ruth was born in 1925 in New Jersey. 24th Adar, 5740. May her soul be bound up for life eternal. Died on the 1st of Tevet, 5722. May his soul be bound up for life eternal. 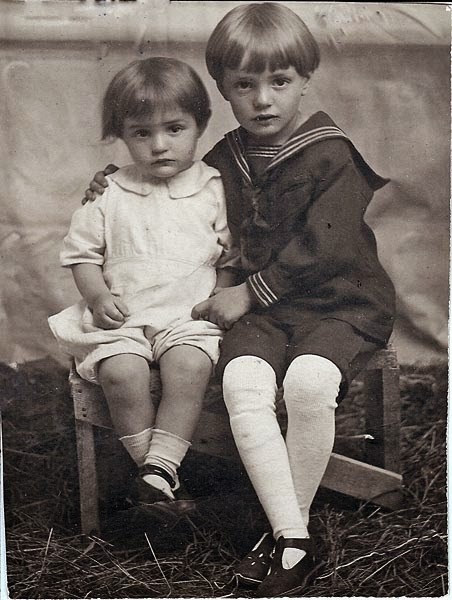 Sophie's sister, Sura, born about 1900, was on the same ship. She also left Southampton, England on the S.S. Aquitania, 23 Apr 1921 and arrived 1 May 1921. 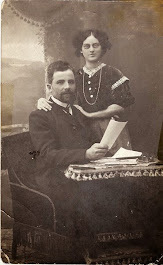 Her mother Feiga was her contact in Ostropol. What was Sura's life like after she arrived? 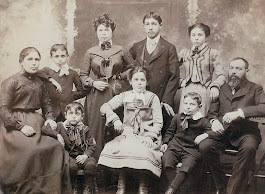 Mother Feiga, born about 1869 and her daughter Minnie left Southampton, England on the S.S. Ausonia, 27 Oct 1928 and arrived in Quebec CIty, 5 Nov 1928. They gave Joseph, son/brother as the person they were heading to, on 37 Alexander St in Sherbrooke. 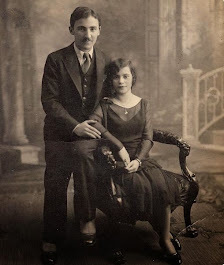 Joseph married Betty Flax, 27 May 1934 and they had a daughter Anita, born 1937. What happened to Anita? Minnie married Samuel Kent and had 2 children, Harold and Ira. What happened to Harold and Ira? The 1940 Census has the families of Joseph and his sister Minnie and their mother living side by side on Morton Street in Newark, Essex, New Jersey. 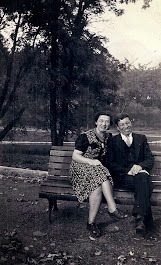 Joseph worked in a dry goods store and Samuel, Minnie's husband, worked as an insurance agent. Hi Corinne! I am so happy to have stumbled upon this site. Minnie is my great grandmother! Manya as we know her. 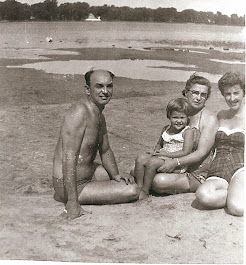 My great grandfather is Sam Kent, my grandfather is Harold, my father is his son Ives Kent. My name is Jessica Kent. I have been searching for so long for history on the Gillicks! (I have gotten pretty far so far on the Kent (Kantorowitz) side. My great uncle Ira (Harold's brother) and I have been working on the family tree.